Sales tax must be collected on all orders shipping to North Carolina. If your order is time critical, please be sure to specify in your special instructions your in-hands deadline. Rush orders are available at an additional charge. 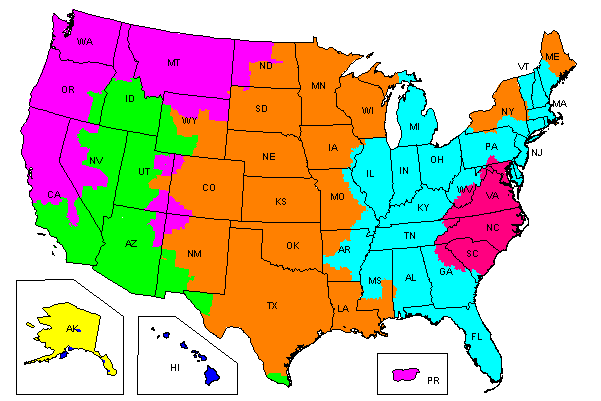 Please see the delivery map below for FedEx Ground transit times (business to business). ACTUAL shipping charges will be billed plus $5 per package for packaging and handling. Oversized or heavy items may incur additional shipping charges. Drop shipments to more than one address will incur an additional charge of $5 per address. Blind shipping is available upon request. Rush order shipment after last pickup (approximately 4:30 p.m. EST) will be billed shipping and packing rate plus $25 for delivery to a FedEx Counter or $50 for delivery to the airport FedEx Counter. ALL ground shipments, regardless of production speed, must be shipped with our scheduled daily FedEx Ground pickup (approximately 3PM). Residential shipments will be delivered by FedEx Home Delivery which does not operate on Monday but does make deliveries on Saturday. Residential shipping rates will apply. CyberGraph Advertising, Inc. reserves the right to charge more or less than amount listed above for oversized or heavy items or items requiring special packing/handling. Order total refers to the total amount of Deluxe Printed Products and does not include sales tax for orders shipping to North Carolina. Hardware and non-printed items ship using the hardware shipping table below. All orders are shipped FedEx Ground unless specified otherwise. Large shipments/items will be shipped via motor freight, FedEx Freight, FedEx Economy or FedEx Freight. FedEx and UPS SonicAir® (same-day delivery—minimum delivery charge of $250) services are available at cost plus 10% for special handling. CyberGraph is not liable for any delays, damage or loss caused by the shipping carrier and/or their agents. Hardware items will ship directly from the manufacturer. Delivery times will vary. All hardware items are shipped directly from the manufacturer/distributor. Please allow 1 - 2 weeks for delivery of all stock hardware items. Customized and made to order items may take longer. If your order is time critical, please call our customer service department at 888-625-5744 to check stock availability and estimated delivery times. Hardware items do not qualify for free shipping upgrades. Hardware will be shipped the most economical method which may include freight service. Please indicate if you will require inside delivery on large orders that may be shipped via freight. Hardware items ship best method which includes, but is not limited to, UPS Ground, FedEx Ground and motor freight. Rush delivery may be available on some stock items, please call. Oversized or heavy items may incur additional shipping charges. Actual freight charges plus our standard handling fee will be charged on final invoice which may be more or less than the estimated charge. Please click HERE to view the FedEx holiday delivery schedule. All international orders must be paid by credit card and will be billed in U.S. Dollars. Additional shipping charges apply. A $25 handling fee will be applied to all orders shipped outside of the U.S. All taxes/duties/tariffs are the responsibility of the recipient. All shipping charges and transit times listed are for your convenience only and are subject to change.